Hanging Decorations There are 10 products. 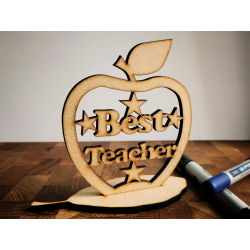 This decoration has been cut from 4mm MDF.It is left in a natural state that can either be painted or left natural.Each decoration measures 140mm x 55mm. 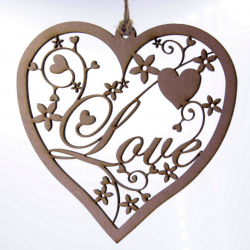 This decoration is in the shape of heart with the word "Love" insideIt has been cut from 4mm MDF.It is left in a natural state that can either be painted or left natural.Each decoration measures 135mm x 133mm. 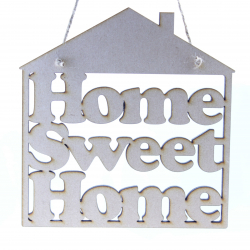 This hanger is in the shape of a house and the text reads "Home Sweet Home"It is made from 4mm MDF which will be sent out natural. It can be either left natural or painted to suit your decor.The decoration measures 153 x 157mm. and comes with a length of natural string attached. 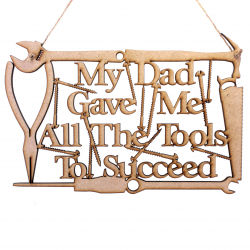 This hanger is in the shape of a house and the text reads "Home Freak Home" and is a humorous play on the traditional "Home Sweet Home"It is made from 4mm MDF which will be sent out natural. It can be either left natural or painted to suit your decor.The decoration measures 153 x 157mm. and comes with a length of natural string attached. 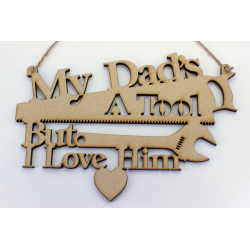 This decoration would be perfect for the office, garage or shed.It has been cut from 4mm plywood. 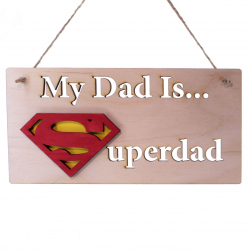 The Superman logo has been painted red with watercolour paint to ensure that the natural grain of the wood still comes through.Each decoration measures 190mm x 100mm. 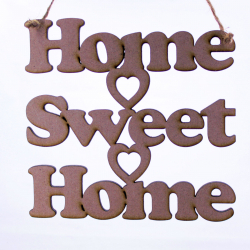 This hanger is the phrase "Home Sweet Home" separated by hearts.It is made from 4mm MDF which will be sent out natural. It can be either left natural or painted to suit your decor.The decoration measures 138mm x 134mm. 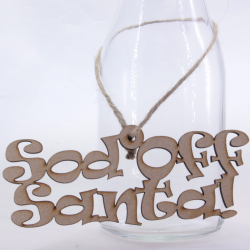 and comes with a length of natural string attached. 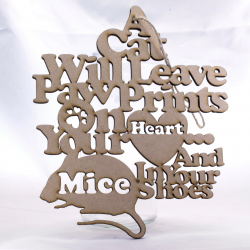 This decoration reads "A Cat Will Leave Pawprints On Your Heart And Mice In Your Shoes"It has been cut from 4mm MDF.It is left in a natural state that can either be painted or left natural.Each decoration measures 190mm x 220mm.